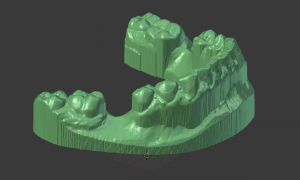 Dental3Dlugin has a built-in undercut removal feature. 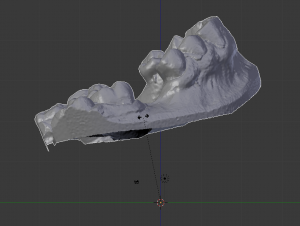 But under certain circumstances and until Dental3DPlugin 3.0, this feature didn’t work properly and produced 3D models with errors. 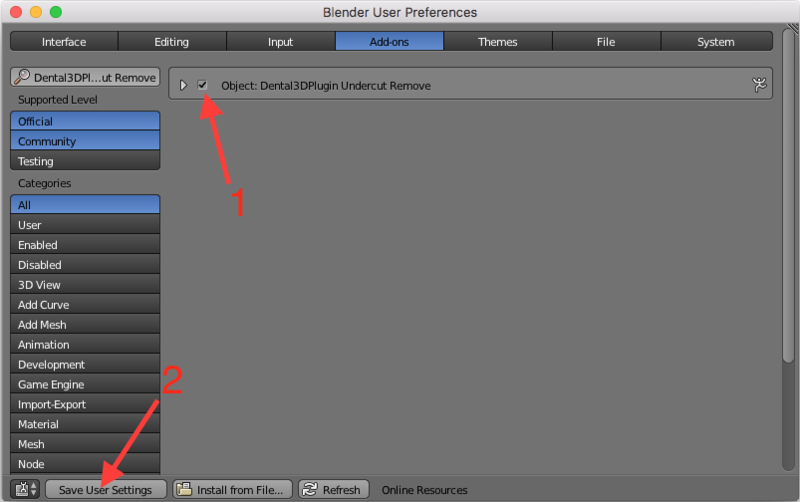 The UndercutRemove Add-on for Blender allows to remove the undercuts in such circumstances. 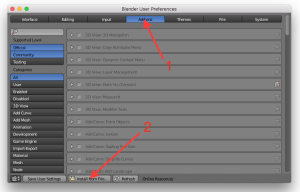 Download the UndercutRemove Add-on for Blender (UndercutRemove.py file in a compressed folder). 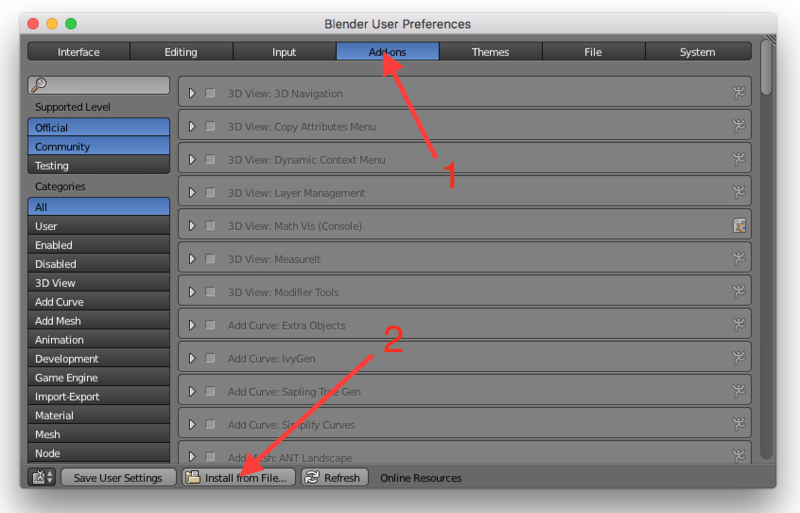 Run Blender and open File > User preferences. Under Add-ons, click on Install from File… Navigate to the UndercutRemove.py file you downloaded and select it. The Add-on appears in the window. Tick the checkbox to enable it. 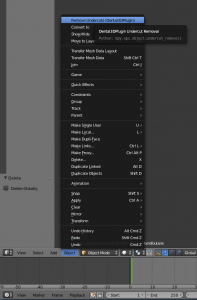 Click on Save User Settings to have the Add-on enabled every time you start Blender. 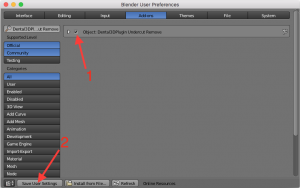 Delete the default Blender 3D cube by pressing ‘X’ or ‘Delete’. Go in File > Import > Stl. to import your model. Press ‘Shift + C’ (center) to see the model you have imported. Mouse drag to change the viewpoint. Numpad ‘+’ and ‘-‘ to zoom-in / zoom-out or pad pinch on a MacBook (or wheel if you have a mouse wheel). Numpad ‘1’ ‘3’ ‘7’ ‘9’ to change the viewpoint. On a side view of the mode, press ‘R’ and move the mouse to set the model position. 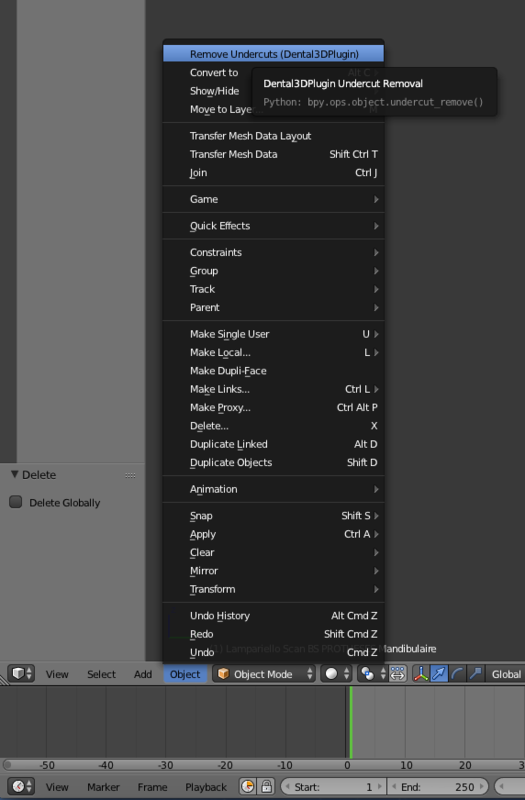 This will set the direction in which the add-on removes the undercuts. Select the model with a right-click (the model must be outlined in orange). 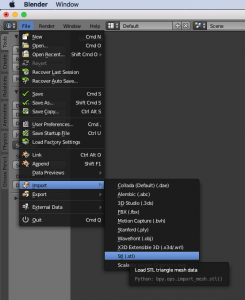 Run ‘Object > Remove the Undercuts‘ in the menu bar under the 3D view or press the space bar and search the Add-on. The model should turn to green once the undercut removal process is finished. 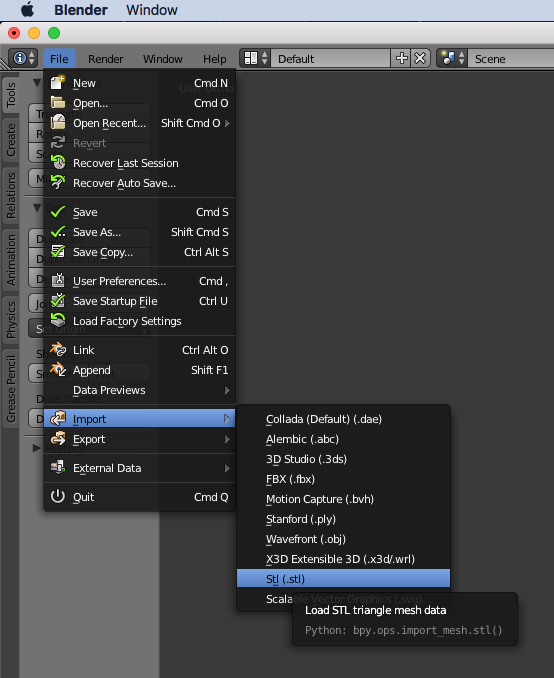 Select ‘File > Export > Stl.‘ to export the new model. This model can now be imported in Dental3DPlugin as a new study or wax-up model.